Welcome to Sharps Chapel on Norris Lake in Tennessee! This area sits on the eastern side of the lake, where there’s plenty of beautiful properties, scenery and so much to do! WHen you stay here, treat yourself to some elegant vacation rental homes right on the water, with easy access to local marinas, attractions and waterfront restaurants! The closest boat dock is Lakeview, but right across the water is Beach Island Resort and Marina, where you can enjoy boat rentals, a fantastic sports bar with delicious food and drinks and a convenient location right on the water! 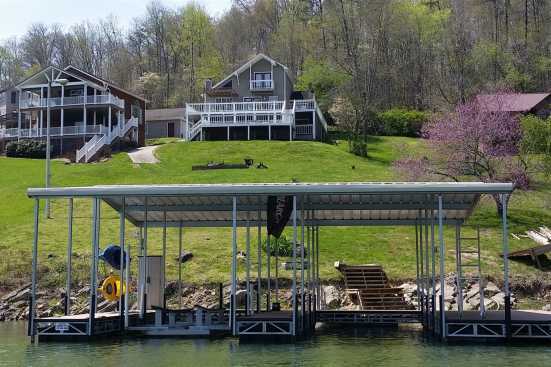 So when you stay here, you get to enjoy the amazing views of Norris Lake, you can boat for days and never go bored, rent supplies for watersports such as wakeboarding, surfing, water skiing, kneeboarding, tubing, ride jet skis, go fishing and so much more! When the end of the day rolls around, stop by your local marina for a great meal and drinks in a fun scene right there on the water! You don’t want to miss this opportunity! Smoky Mountains by Owners is proud to have the opportunity to make your trip to Norris Lake the best vacation ever! So come to Sharps Chapel and stay with us this year, book online today and make the most of your vacation!